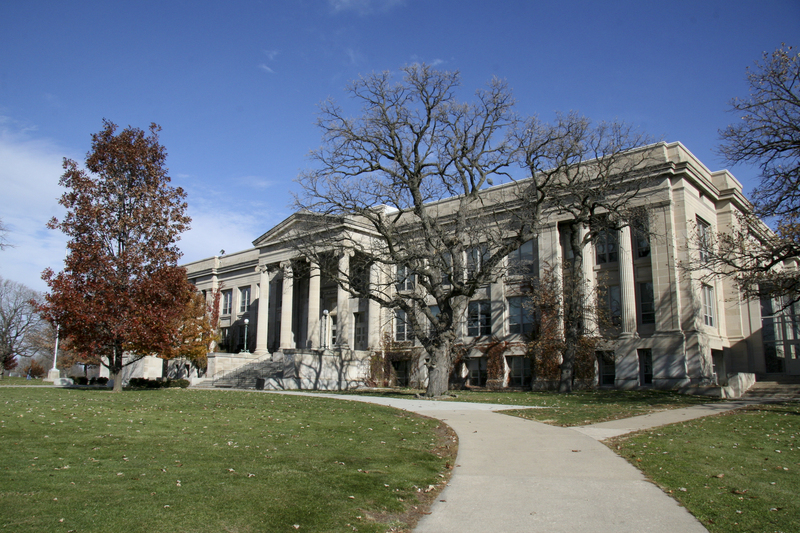 East High School is not only the largest high school in Iowa, but has one of the richest traditions of any school in the Midwest. Des Moines Public Schools serves more than 8,500 students at our five comprehensive high schools, one alternative high school, and a multi-program magnet high school campus. Our five traditional high schools – East, Hoover, Lincoln, North and Roosevelt – each have a proud reputation for excellence in academics and activities. All five are ranked on the University of Iowa’s Advanced Placement Top 50 Index for the state, and each school offers unique learning opportunities. For example, North is the largest school in Iowa to offer a 1:1 computer laptop (now iPad) program, and Hoover holds the dual distinction of being an International Baccalaureate (IB) World School and offering a school-within-a-school through its innovative STEM Academy. Scavo High School offers non-traditional educational programs for high school students and has drawn national attention as a leader in that area. It earned its status as a Full Service Community School by establishing on-site dental and medical clinics, a food pantry and a daycare center, among other programs designed to assist students in overcoming obstacles to educational progress. Central Campus is nationally recognized for its one-of-a-kind programs. The Career & Technical Institute offers a wide range of college-level, technical career programs, from fashion design and automotive technology to marine biology and one of only three FAA-certified aviation high school programs in the nation. Central Academy is home of Iowa’s top-ranked Advanced Placement program and the first high school in Iowa to offer the prestigious IB Diploma. For more information about high schools in Des Moines, visit the directory in the menu to the right.